Center for Ukrainian Studies of Black Sea University organized a meeting with prominent Ukrainian-American figure in musical culture Julian Kytasty. He is a descendant of a musical dynasty Kytasty in America. He was born in Detroit, studied playing the bandura from his father Peter Kytasty. 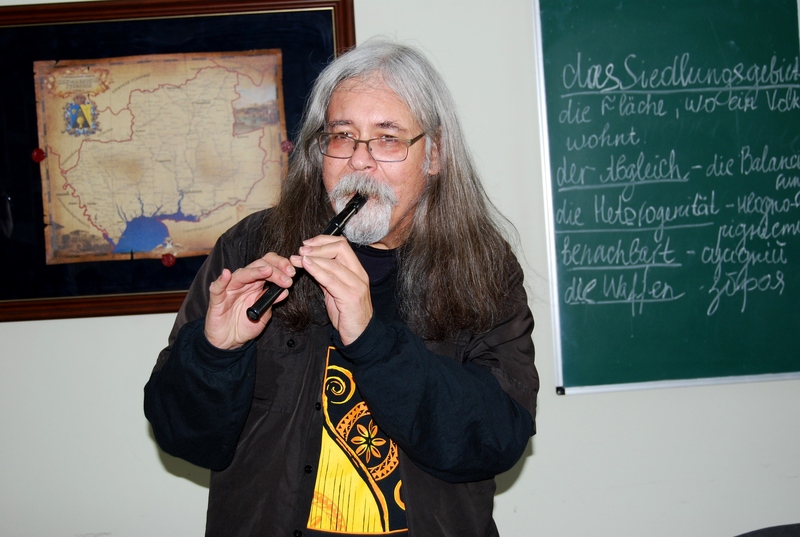 Julian is not only Kobzar, but bandurist, sopilka player, composer, singer, conductor. 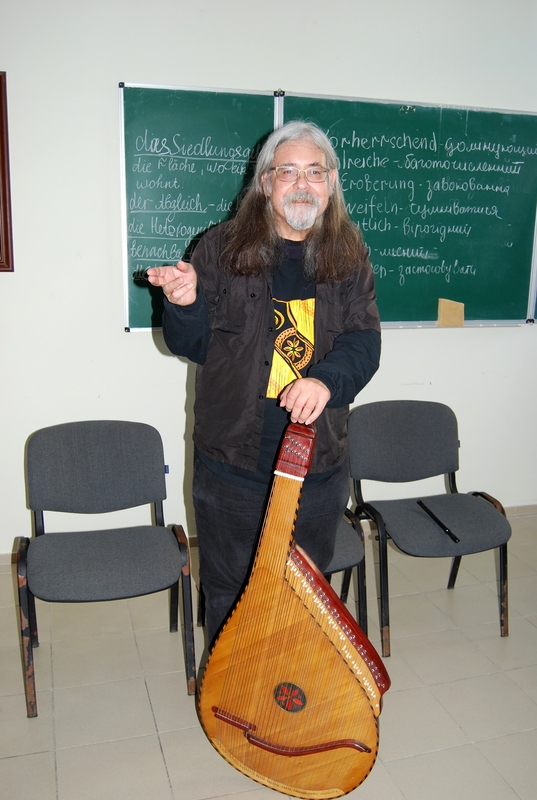 He actively promotes Ukrainian folk art bandura and other folk instruments abroad. Moreover, he is the head of the bandura school in New York. Julian Kytasty began his performance from playing on panpipe. 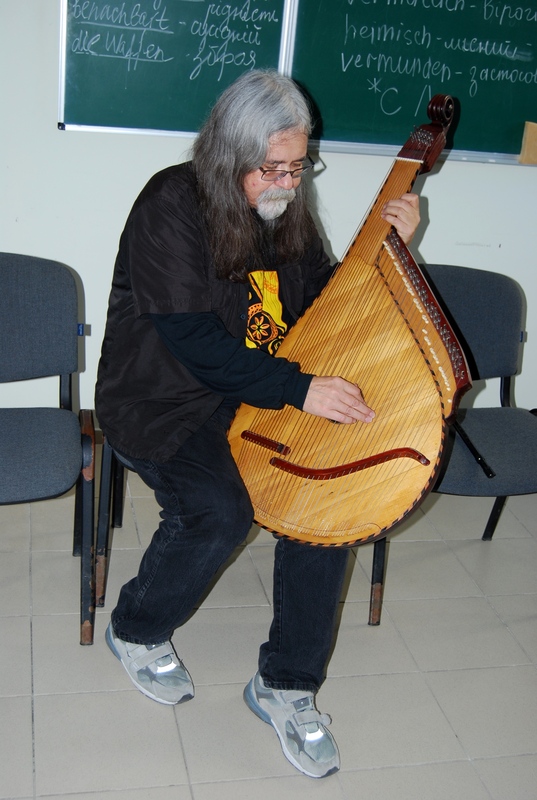 Then he continued it with playing on the bandura. Only occasionally he interrupted to comment some songs. Teachers and students were fascinated by the virtuosity of the master. There sounded euphonious songs in Ukrainian. He got the improvisation for students and teachers in the end of the performance.